The kitchen wants what the kitchen wants. 1. A five-slot non stick pan so you can cook your breakfast and only have one thing to clean when you're done. Get it from Amazon for $45.82. 2. A magical machine that turns frozen fruit into a nice "ice cream" treat you'll go ~bananas~ for. Simply add a combination of frozen fruits or chocolate to create a "nice" cream treat everyone will enjoy. 3. 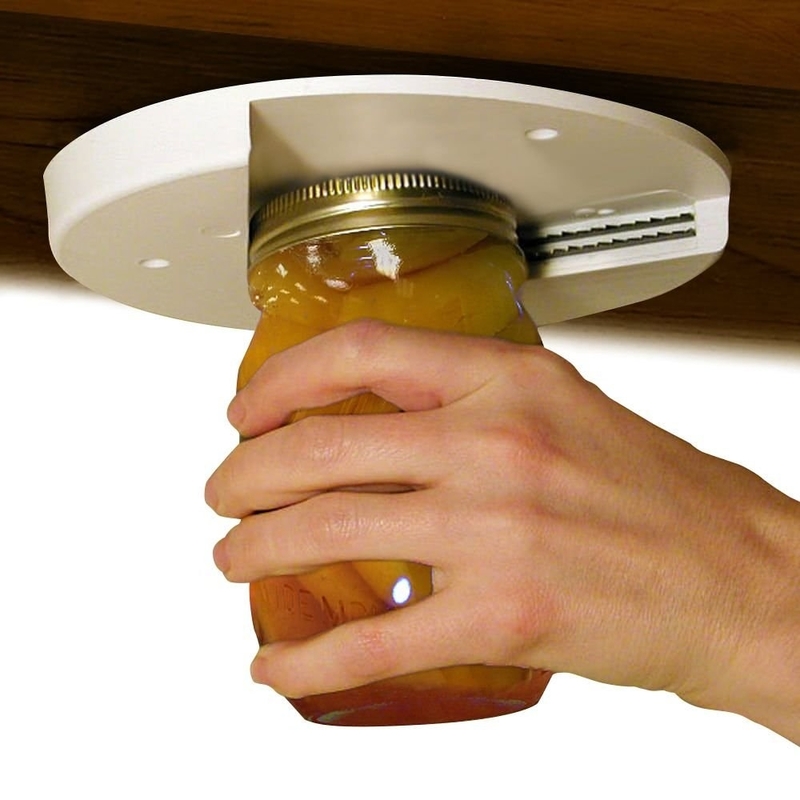 A multipurpose oven grip and splatter lid set to not only protect your hands from getting burnt, but also your kitchen from getting less messy, so it's easier to clean up. I call that a win-win. 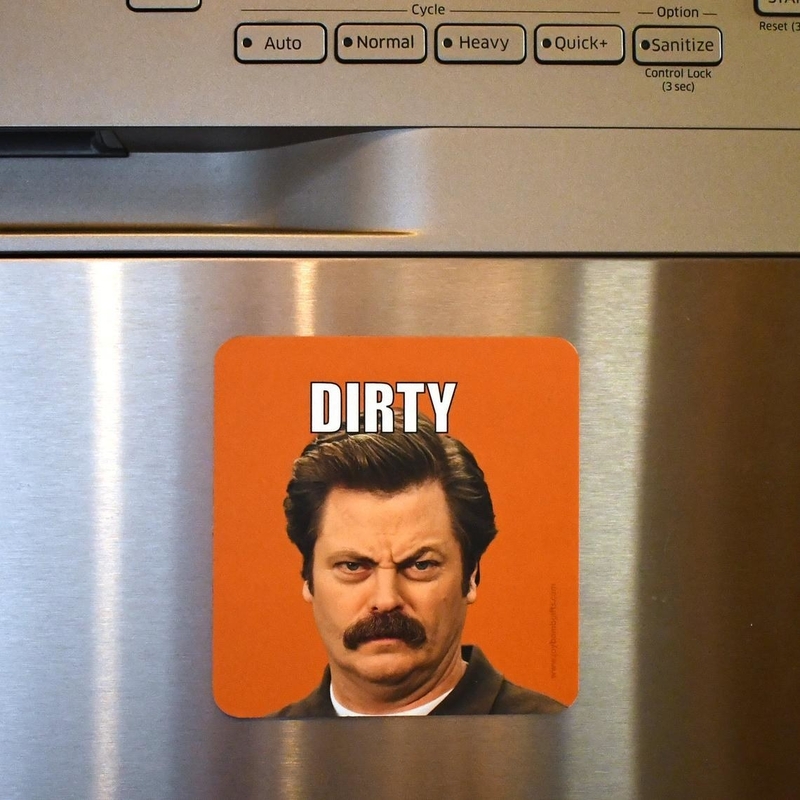 They're heat-safe to 450 degrees, plus microwave and dishwasher-safe. 4. A pair of onion goggles that are so chic, you'll want to wear them everywhere you go...jk, they don't look cute, but boy do they help you stop crying while you chop onions. Get it from Amazon for $14.52+ (available in five colors). 5. A Rub-a-Way Bar you use to scrub your hands to get rid of all those unpleasant cooking smells (i.e. fish, garlic, ect.) that somehow are so hard to remove. Get it from Amazon for $8.09. 6. A handheld grater because adding freshly shredded cheese to your pasta will make you seem like a real chef, and that's a fact. Get it from BuzzFeed's Tasty collection for Walmart for $7.97 (available in four colors). 7. 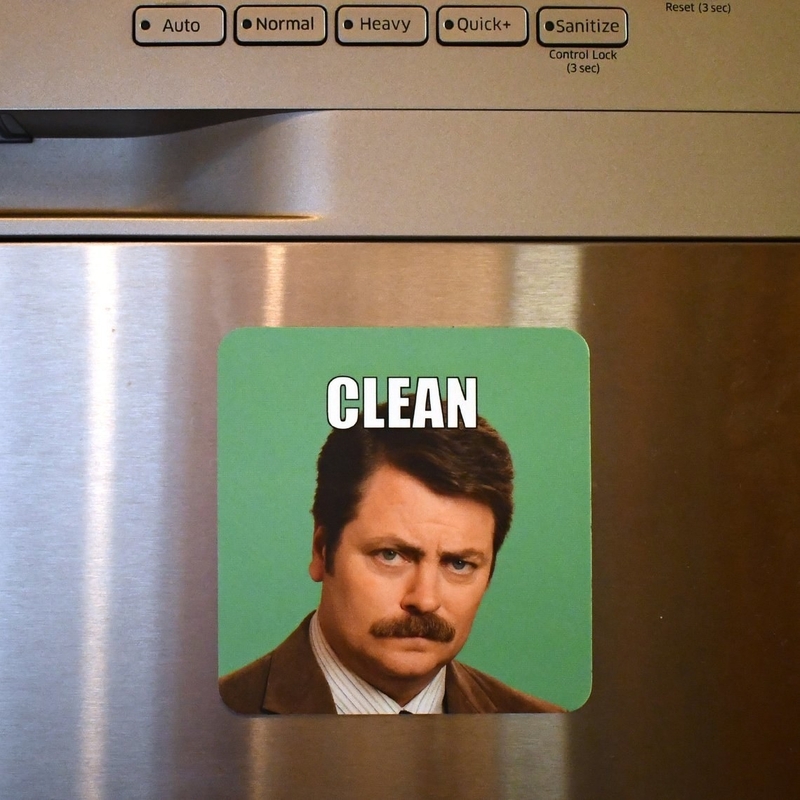 A dishwasher magnet you'll be proud to display in your home. Get it from joybombgifts on Etsy for $11.99. 8. A mini waffle maker because sleeping in on Saturday morning is only made better when you make waffles for breakfast. Get it from Amazon for $14.99 (available in nine colors). 9. A sneaky storage tower to keep whatever products you don't want guests to see out of sight. I'll also help you take advantage of all the extra space your kitchen has to offer. Get it on Amazon for $23.60+ (available in two sizes). 10. A corn stripper that easily removes corn from the cob so you can make your recipes that include corn even *more* delicious. Side note, why is corn straight from the cob so much more delicious than any other corn your buy from the store? Get it from Bed Bath & Beyond for $13.99. 11. A dehydrator to help you make delicious (and healthy!) snacks at home in little to no time. Get it from Amazon for $58.70. 12. 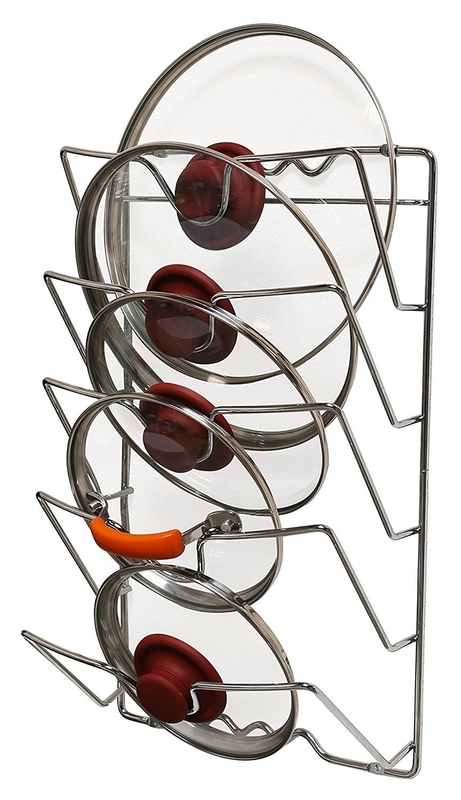 A door mounted pot lid rack that'll help you ~keep a lid~ on the organization in your kitchen. 13. A spoon designed specifically to help you dip cookies in milk and get them back out in one piece. Get a set of four from The Grommet for $10.16. 14. A pair of shredder claws — you might feel like Wolverine when you use them, and that's not a bad thing. 15. 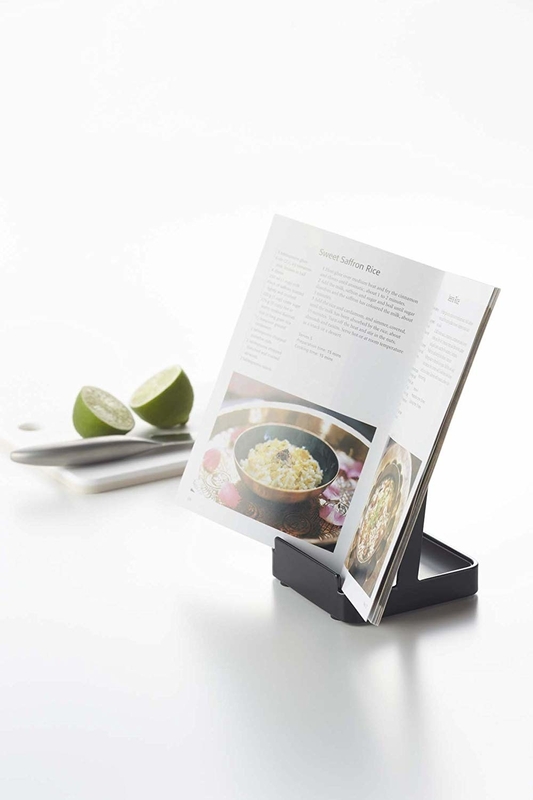 A convenient multipurpose kitchen stand that can hold a pot lid and ladle while you cook...or even keep a cookbook open to make things a little easier. Promising review: "I love this product! 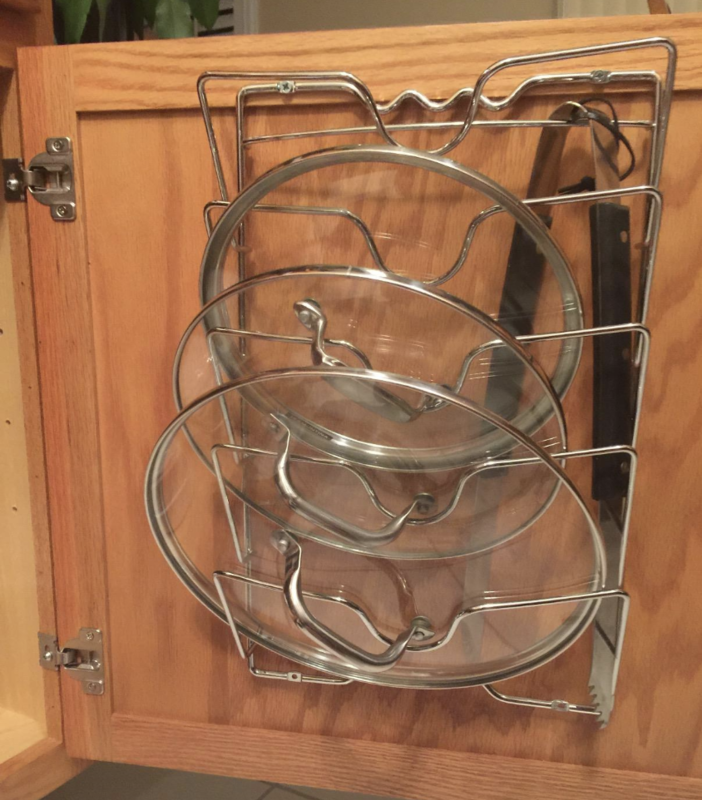 I have always had a difficult time removing hot and steamy lids from dishes with no place to put them without making a mess on my countertop. If placed upside down on the counter, then it's too hot to pick back up. This stand works perfectly for all my lids from my heavy lid on the Dutch oven to small lids. It's also great for large spoons and ladles without making a mess. I highly recommend it." —Colleen R.
Get it from Amazon for $18.99+ (available in black and white). 16. A pack of grilled cheese bags to revolutionize how you make that delicious sandwich. Say goodbye to using the stove and hello to gooeyness in minutes using your toaster. Get a pack of three from Uncommon Goods for $9.99. Get it from Amazon for $10.73. 18. A KitchenAid immersion blender you'll get so much use out of once you discover how easy it is to make smoothies, soups, dips, and so much more with this clever tool. This kit comes with a blending arm, whisk attachment, chopper attachment, blending jar, and bag for safe storage. 19. A spatula with a light that will ~illuminate~ how great your grilling skills really are. 20. A pack of flexible, plastic cutting board with food icons to prevent cross-contamination. Get a pack of four from Amazon for $14.99. 21. 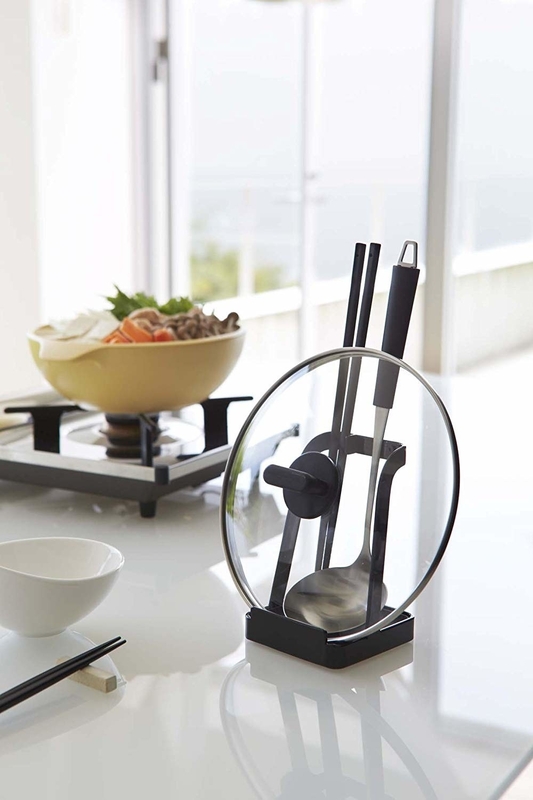 A collapsible strainer that will make cooking pasta and frozen vegetables a hole lot easier. The strainer is made from silicone, so it's flexible and durable. 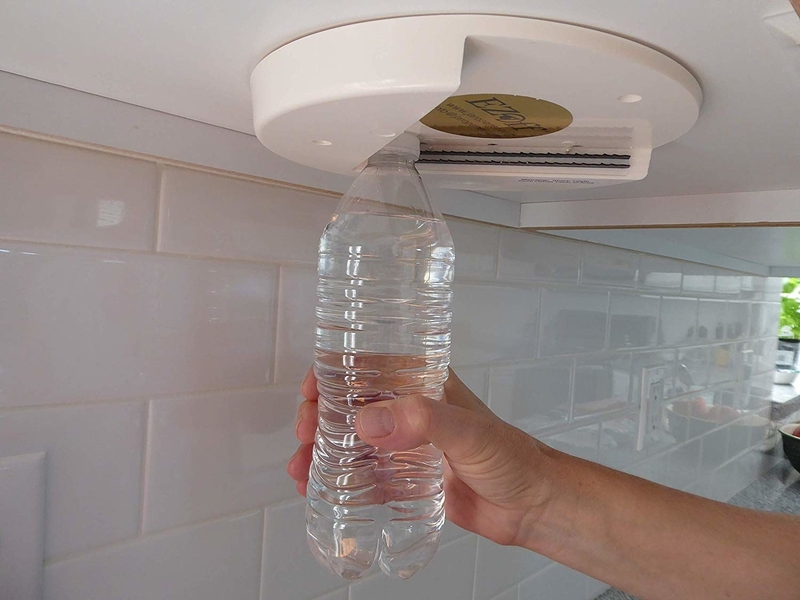 It can also be used to steam veggies or as a lid when you boil pasta. Get it from BuzzFeed's Goodful line, exclusively at Macy's for $14.99. 22. A pair of cut resistent gloves to prevent any future flesh wounds when you get a little too knife happy. Get them from Amazon for $10.99 (available in small and medium). 23. An air fryer for people who are obsessed with fries (hi, hello, that's me!) and want to indulge without getting so greasy. Get it from Amazon for $79.40. 24. A three-in-one avocado tool because just like guac, you're extra! And deserve a tool to make handling your avocado so much easier. The tool splits, pits, and slices your avocados in seconds. 25. A strainer that makes draining past a snap because all you have to do is clip it to the pot and dump the water out. Get it from Amazon for $12.99 (available in green and red). 26. A knork (i.e. knife and fork) you'll wonder how you went so long without. No more trying to cheat the system by using the side of a fork to cut food. Get a pack of four from Amazon for $11.72. 27. A cheeky oven mitt to ~spice up~ your kitchen decor and let everyone who visits see what kind of cook you really are. Get it from Firebox for $16.99 (available in two sayings) or a similar one from Amazon for $12.89. 28. A spaghetti measuring tool because sometimes you are as hungry as a horse and need to know how much pasta they eat. Along with the horse, you can measure how much pasta a child, woman, and man should reasonably eat. Get it from Amazon for $10.91. 29. An "angry mamma" who has about the same expression as your mom when she finds out how long it's been since you cleaned your microwave. At least this one lets steam out of her ears making it super easy to clean. Just put some vinegar or lemon water inside and put her in the microwave for seven minutes. After, you'll be able to wipe all the crusted on food right off. Get it from Amazon for $7.96+ (available in red and blue). 30. A peanut butter spoon to help you get EVERY. LAST. DROP. out of your jar because no peanut butter deserves to go to waste. Ever. Get it from Uncommon Goods for $12. 31. A reusable olive oil sprayer you mist add to your life because you'll never overuse olive oil again. 32. A pack of eco-friendly beeswax food wraps to help you cut down on your plastic use and help save the turtles! You can use these to replace your need for both cling wrap and plastic bags and also feel like you're truly making a difference in the world. It all starts with one, and that one can be you! Get a set of three from Amazon for $17+ (available in three designs). 33. A lucky iron fish that's great for vegetarians, vegans, or anyone else who needs a bit more iron added to their diet. Promising review: "I'm very pleased with the Lucky Iron Fish so far. It is easy to use, the water does not have any odd taste to it, and I feel like it has raised the iron level in my blood." —Lynelle G.
34. A jar opener to make opening anything a snap because you are strong and independent and don't need any help in the kitchen. Promising review: "This thing has been a life saver!!! With carpal-tunnel and arthritis, I had got to where opening anything was nearly impossible. And I live alone, so I don't have anyone to go whining to when I needed something opened. I would either work on it until I got it opened (and was in a lot of pain), or gave up on whatever it was I was opening. But with this, I can open ANYTHING!!! Great product!!" —Crystal A. 35. An adjustable baggy and kitchen wrap organizer so the next time you open the cabinet, they all don't come tumbling down on you. 36. And an egg iron throne because your kitchen deserves a leader. Get it from Firebox for $12.99.